UNO themes has been purchased 68, rating: 3.25/5 based on 4 reviews. 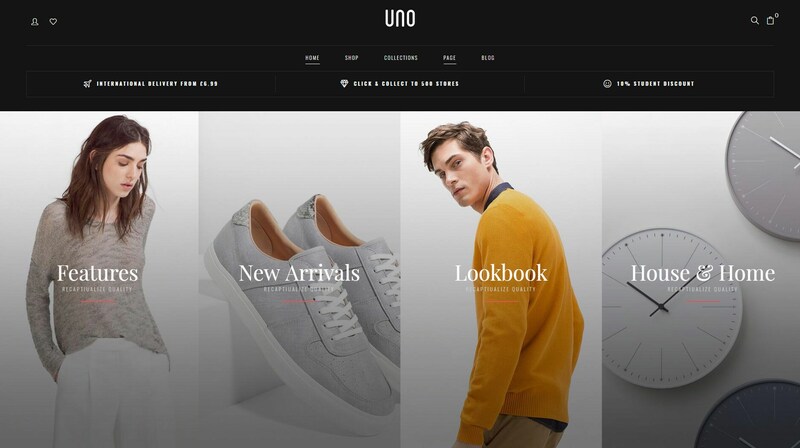 UNO is a Shopify theme designed by EngoTheme. This theme is suitable for all stores such as accessories, apparel, cosmetics, clothing, shoes, etc, and can be meet on any device such as laptops, mobiles, computers, tablets, screens, etc. This is an easy to install and customizable theme thanks to the flexible control panel. In addition, UNO Shopify theme comes with lots of powerful modules like SEO, Mega Menu, Ajax cart, Quickview, Slideshow, Daily Deal, etc. Try the UNO Shopify theme for your online store today!